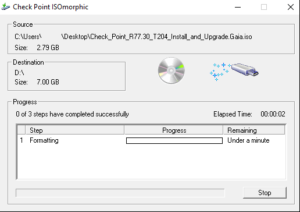 Check Point features an unattended installation mode for fresh installation, which may come in handy if you need to upgrade/install an appliance remotely with an non-technical person onsite. 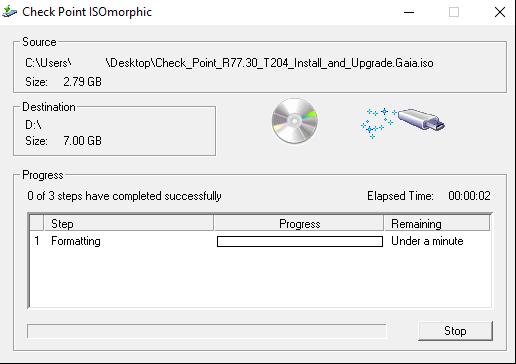 Using the ISOmorphic tool, the ISO of your choosing you choose “unattended installation”. Click on configure and insert IP address, netmask and default gateway for the management interface you will access remotely after the unattended installation has completed. If you know the MAC address of your appliance you can also enter the relevant MAC address and specify the IP address for that interface. After entering the management interface IP address, you click Go, type “yes” and ISOmorphic copies over the ISO and basic network settings to the flash drive. 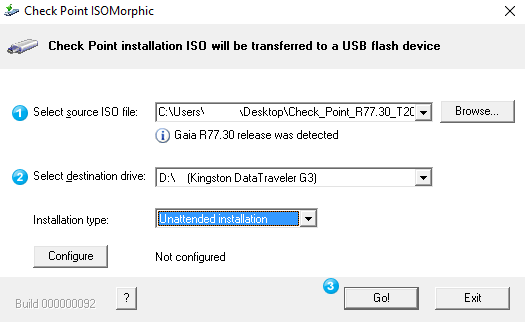 When the appliance boots with an USB flash inserted, the default boot would be “serial” as shown by the picture below. Unless someone changes this value through the console port, the appliance will boot after 90 seconds and install the Check Point software. Time wise, the 4200-appliance I tested with took 24 minutes and 40 seconds from power-on till finished installation. Since all the file systems are unmounted prior to the completed message being displayed, you can safely just flick the power-switch off and back on again. 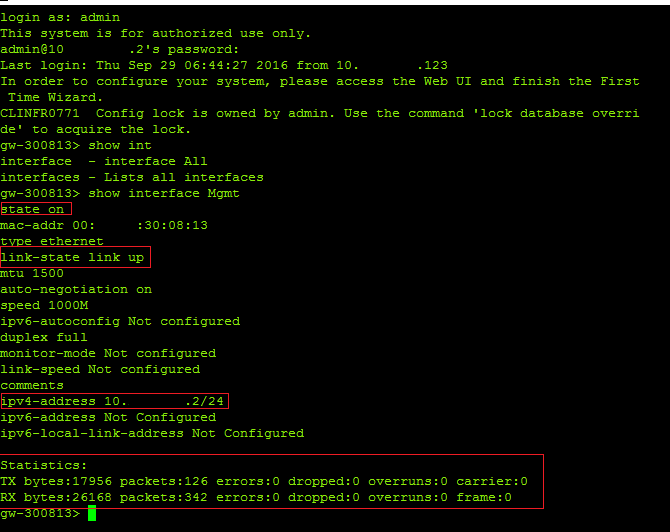 Once booted you can connect via SSH or HTTPS to continue the configuration through the FTW.